The featured CHROMOJET.TABLETOP PRINTER running live on the booth was a real conversation starter. This Digital Lab Printing machine sparked the interest of many apparel and home textiles manufacturers. 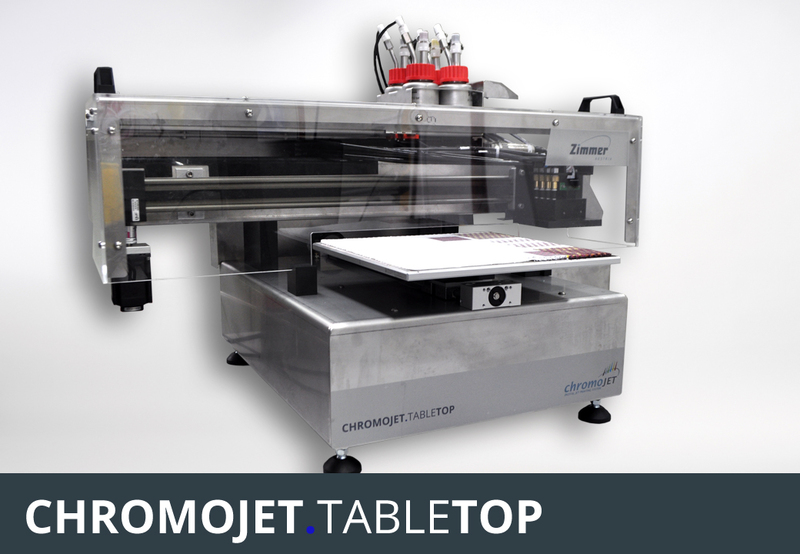 Our featured machine, the CHROMOJET.TABLETOP PRINTER running live on the booth, was a real conversation starter. This Digital Lab Printing machine sparked the interest of many apparel and home textiles manufacturers. The topic of Digital Functionalization proved again to be an important one and drew an equally large crowd. The application of localized functions, paired with low operating costs reflects the current needs of the fashion, automotive, protection, filtration and other industries. The versatility of our MAGNOROLL multipurpose coating machine also drew much interest across the board of industries. The MAGNOROLL can be used for universal applications with liquids, pastes, lacquers and foams on textiles, plastics, nonwovens, carpets, glass, film and other innovative materials - hence, it's a true multi-talent.